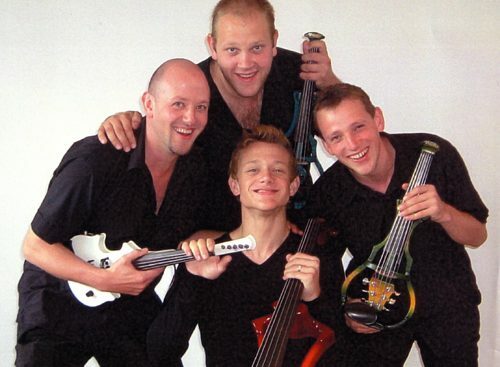 If you’re looking for an evening's entertainment like you’ve never seen before, then meet Giles, Ralph, Graham & Neal Broadbent aka Stringfever. If you’re looking for an evening’s entertainment like you’ve never seen before, then meet Giles, Ralph, Graham & Neal Broadbent aka Stringfever. With their electric instruments and unique sound, the worlds first genetically modified string quartet combine exceptional musical skill with a real talent for involving and engaging audiences to provide you with a night you’ll never forget.